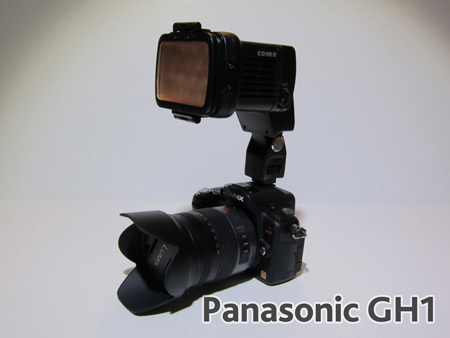 Is Comer 1800 Light Too Big on Panasonic GH1 or Canon T2i? Several customers have concern about the size Comer 1800 light whether it is too big to be mounted on DSLR like the Panasonic GH1 or Canon T2i. 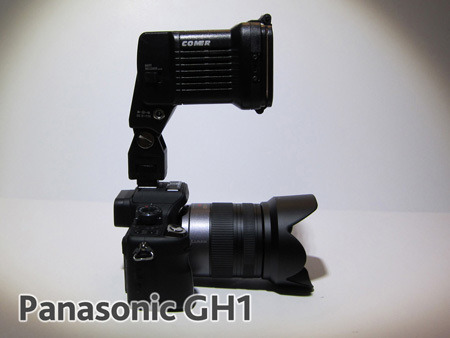 The photos below show the Comer 1800 light mounted on the hot shoe on the Panasonic GH1, Canon T2i, and Canon 7D. It does not look huge on the camera. In fact, it makes the camera more solid to hold. 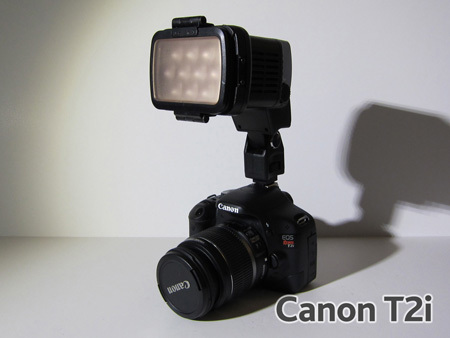 Besides, the Comer 1800 light gets the job done. 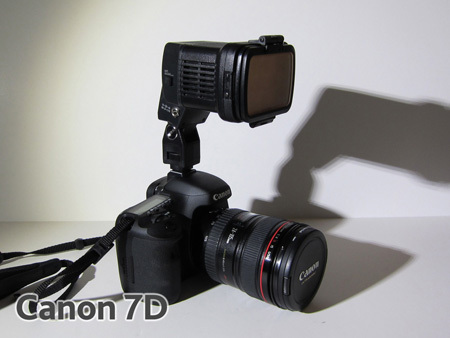 Just to make sure to use the light with the NP-F770 battery instead of the NP-F970 because of the size and weight of the battery. 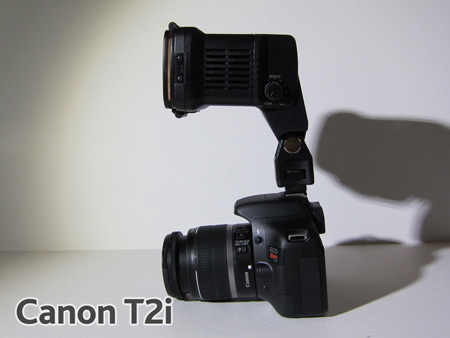 Note: The pictures showing Canon T2i with the stock Canon lens. That lens is small, light weight and very plastic. 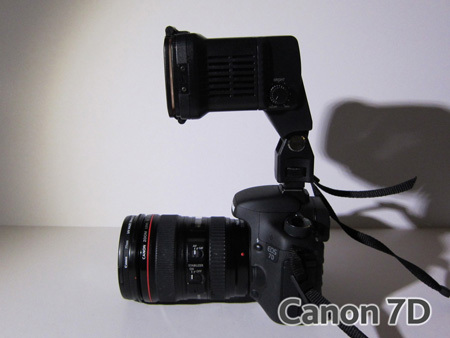 Aug 2 » Is Comer 1800 Light Too Big on Panasonic GH1 or Canon T2i?